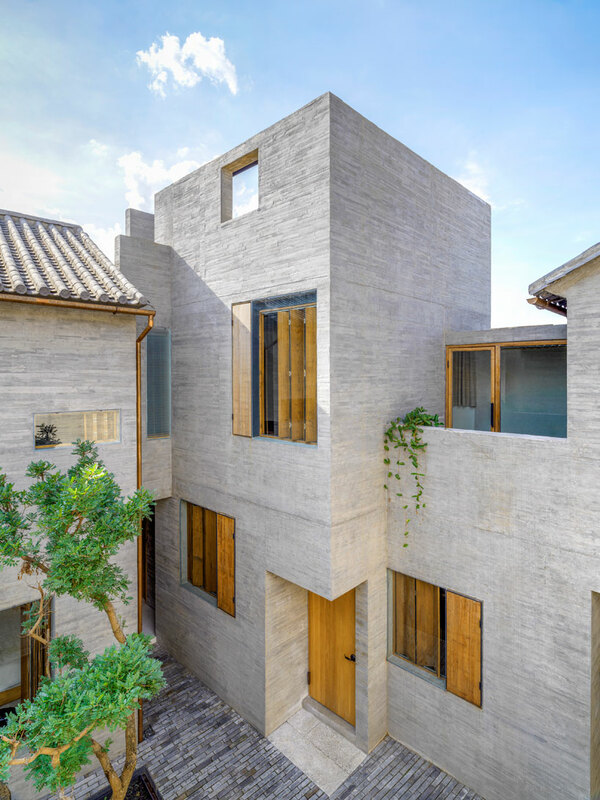 The Sunyata Hotel in Dali Old Town China designed by Zhaoyang architects is a boutique courtyard of balancing forces, yin and yang. The unusual yet beautiful look of this project was created after a series of complex project conditions. Given only 4,000 square feet to build a hotel with restrictions from the city’s rigorous building codes. Unable to provide guests with scenic views, architects came up with a solution to the problem. 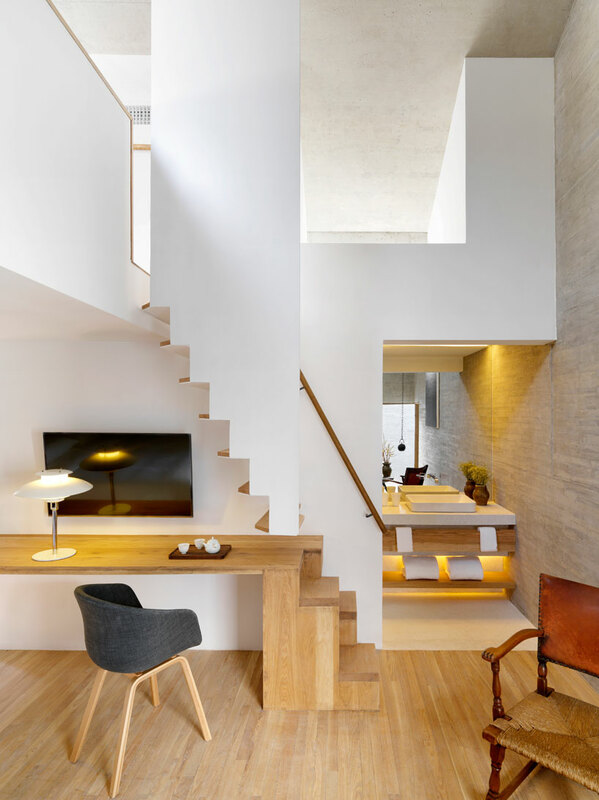 They decided to created a hotel with inner beauty by designing an urban escape within the confines of the hotels walls. 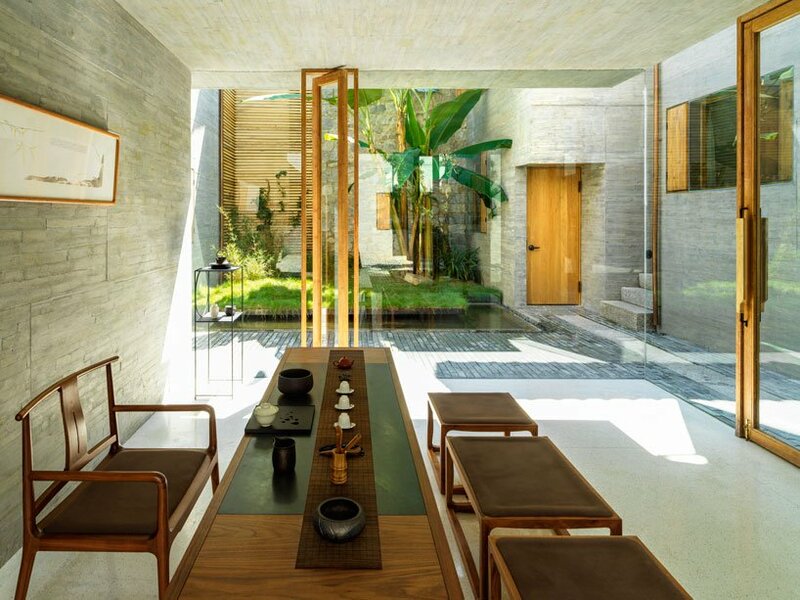 From the outside, the Sunyata hotel appears as a stone fortress, but within it lies a serene courtyard with soft gray walls, natural, light wooden furnishings and fixtures accented by splashes of green foliage and decor. Each piece strategically placed to utilize the space and provide the utmost aesthetically appealing atmosphere. Each room is partially revealed with no space completely closed off, resulting in a labyrinth-like effect. Many hotel courtyards are often too dark at night or during certain hours of the day. 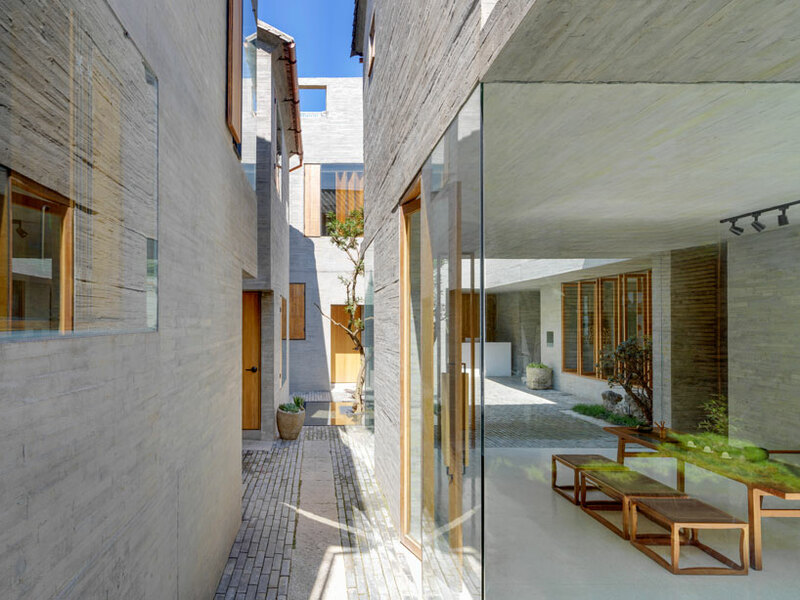 Zhaoyang architects avoided this flaw by creating a scheme with large glass panels, transparent walls and as little separation between common areas as possible. Architects took into account the shadows made by objects and the way the sun hits them during certain points in the day. The mixture of shadows and light creates a soothing yin and yang combination. 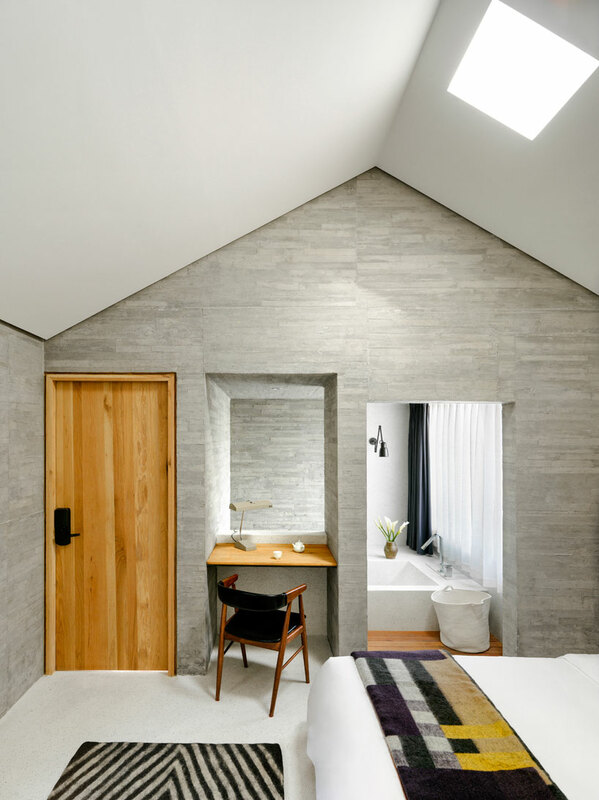 Made almost entirely of concrete and cast with sandwiched timber boards, the surface appears like slender bricks weaving in and out of a series of space. They lead up to the roof which embodies a more traditional impression. Due to building codes, almost 100 percent of the the roof is pitched with historic tiles, furthering the minimalist atmosphere. Each of the 14 rooms in the hotel is one-of-a-kind. Similar to the fluid design of the courtyard outside, each room possesses its own personalized charm with an airy, open floor plan and highly intelligent color scheme. Architects explained the hotel is built more like a little village with each individual hotel room as a different building in itself. The resourceful division of space and brilliant arrangement of furnishings and decor inspire the imagination. The Sunyata Hotel gives visitors a peaceful retreat from the bustling city streets beyond its structure.